Glama-rama! These dramatic earrings reflect the romance and nostalgia as well as the natural forms and fluid lines that define the Regency collection. 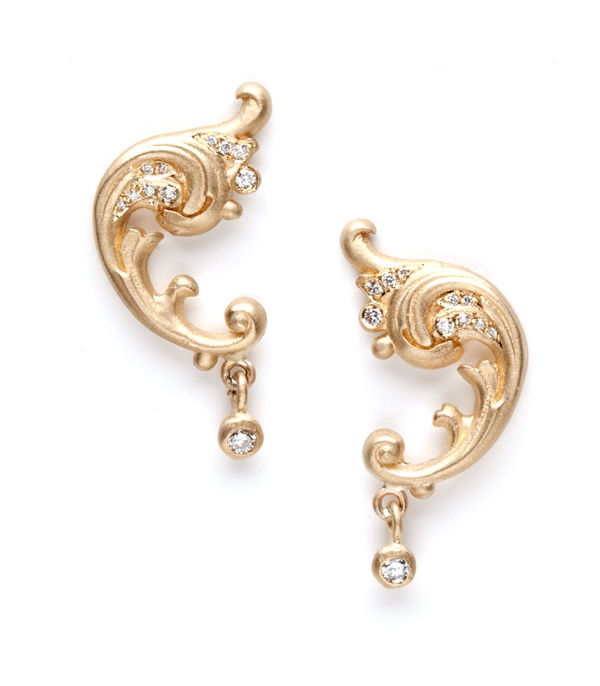 Swirls of diamonds (0.12 ctw) and curlicues accent this special piece. We are in LOVE!